The BSA recently held its AGM in Stratford, reporting on the success of its major event, the conference held in Stirling earlier in 2014. The committee were also able to report on the successful revamp of the BSA website and the larger profile now being given to the organisation’s educational work. So important is this strand that from September 2014 – August 2015 free membership is being offered to primary and secondary schoolteachers. As well as its conferences the BSA periodically runs special events for teachers and membership is a great way of keeping up to date with these opportunities. The website itself provides helpful material for teachers. There’s a page of links to teaching resources including the excellent Times Educational Supplement Shakespeare hub, back issues of the biannual Teaching Shakespeare magazine, and the Education Network blog which offers “a more flexible and responsive format for discussing Shakespeare in education”. Contributions are always welcome, and can take many forms: “articles, lesson plans, reviews, notice of relevant events and more”. It’s great to see international posts like that about using visual aids when working with Chinese students as well as a support pack for teaching Romeo and Juliet. The editor of Teaching Shakespeare is Sarah Olive, from the University of York, who teaches Shakespeare and education and puts together a collection of lively articles in every issue. Her profile on the University of York’s Research Database lists her prolific output and, even better, provides links to the full text of some of it. A couple of her articles are published in a resource new to me, the open access scholarly journal Alluvium. In Shakespeare on Television, This Millenium, she comments on how “television in the twenty-first century is casually saturated with Shakespeare….The bard features as a person, a myth, a quotation, in myriad, often hugely popular, programs: drama, documentary, mocumentary, quiz shows and satire. His presence on the small screen may not steal the show, but as a figure or a fistful of phrases he is part of the texture of daily life in Britain and beyond”. I recently attended her lecture at the Shakespeare Institute in Stratford in which she looked at Televised teaching and learning Shakespeare. As she makes clear in the quote above, popular culture is another of her interests, and her talk looked at the genre that seems to be taking over our TV channels, reality TV. 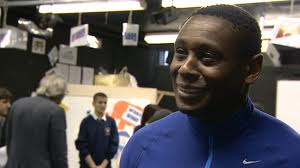 She chose three examples that featured Shakespeare: When Romeo Met Juliet, in which two ethnically different schools were chosen to present the Montagues and Capulets in a joint production, Macbeth, the movie star and me, with David Harewood taking a week to teach reluctant schoolchildren from his old school how to perform Shakespeare, and Off By Heart: Shakespeare, in which teenagers competed against each other to perform a speech from Shakespeare, judged by an expert panel. Some of these are also discussed in her article in Alluvium. In each, the experience was sold to the participants as an exceptional opportunity to encounter something difficult and precious, not the message many educators would like to put across to their students. And although it is always suggested that Shakespeare in some way can transform lives, as with many reality TV series it’s the learning of new skills and the need to work together towards a group achievement that makes for compelling viewing. For another view of Shakespeare and reality TV, including an analysis of the selectivity involved in making these programmes, look at Bailey Gleason’s essay A New Reality: Appreciating Reality TV Through Shakespeare. The examples are, like the author, from the USA, the argument is the same. Reality TV is defended from the usual charge of being “trash”, claiming that its contrivances are similar to the artificiality of a Shakespeare plot, and that the makers are simply, like Shakespeare, story-tellers. TV is how most people make their first acquaintance with Shakespeare so it’s appropriate that those involved in the British Shakespeare Association, with its aim of inclusivity, should take reality TV seriously. If nothing else it offers a way of engaging with people who have thought that Shakespeare is not for them. Not reality TV, but The BBC is currently celebrating television drama with a two and a half-minute advertisement that consists of Benedict Cumberbatch reciting Shakespeare’s Seven Ages of Man speech over appropriate clips from drama productions of the last three decades, including some still to come. Cumberbatch’s massive popularity as Sherlock performing one of Shakespeare’s most famous speeches may encourage viewers to tackle the less popular areas of the TV schedules. Definitely worth a look if you haven’t seen it already. This entry was posted in Legacy and tagged Bailey Gleason, BBC, Benedict Cumberbatch, British Shakespeare Association, David Harewood, education, learning, reality TV, Sarah Olive. Bookmark the permalink.